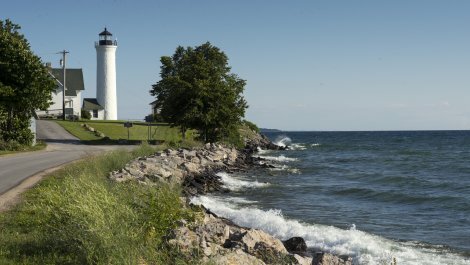 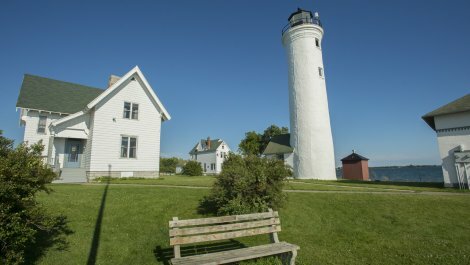 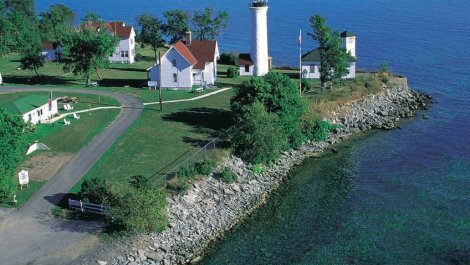 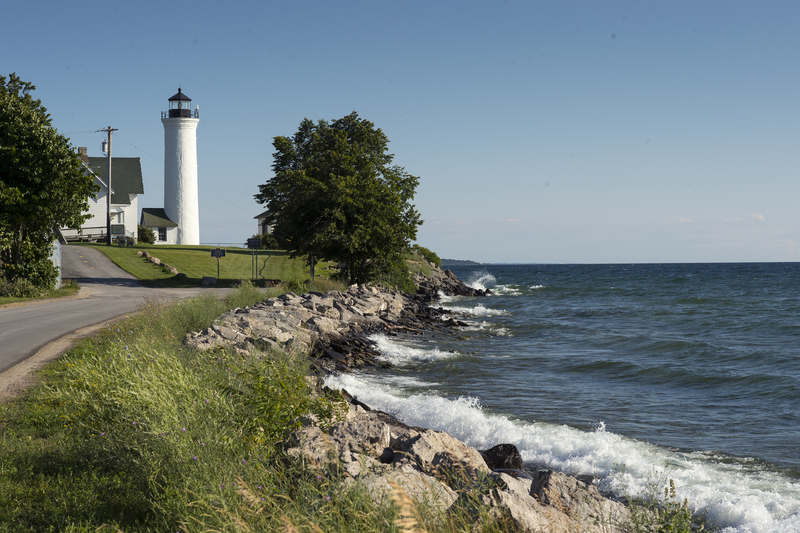 Built in 1827, the Tibbetts Point Lighthouse in Cape Vincent marks the point where Lake Ontario meets the St. Lawrence River in northern New York State. 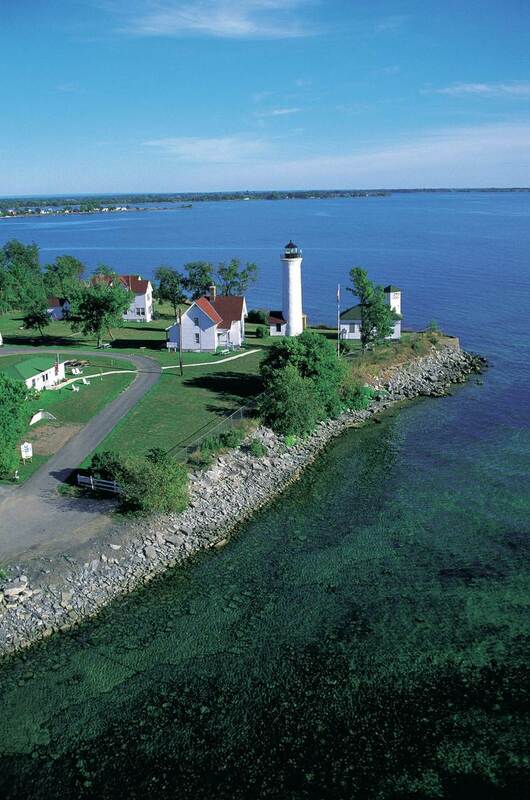 The oldest lighthouse in Jefferson County, it is open for tours, and features the only original working Fresnel lens on Lake Ontario. 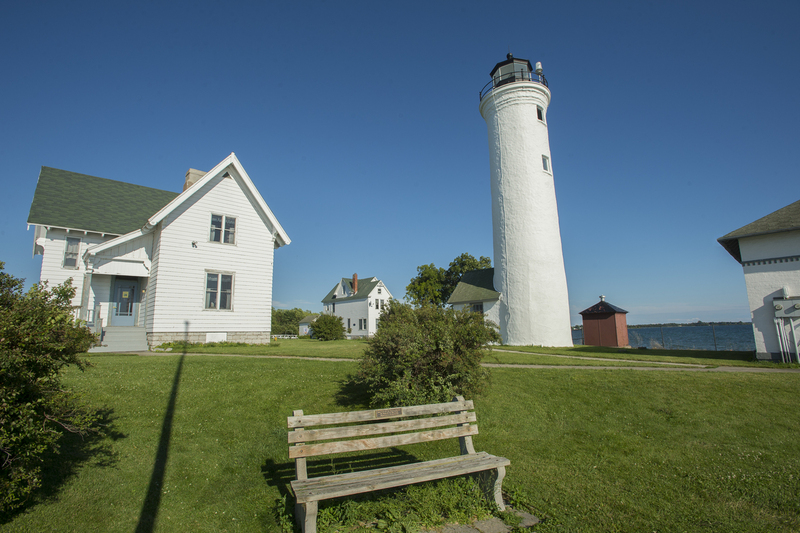 Visitors enjoy surveying the lake and river using the provided telescope, and some take advantage of the lighthouse`s hostel if staying over in town.